Epilepsy, which is sometimes called a seizure disorder, is a disorder of the brain. A person is diagnosed with epilepsy when they have had two or more seizures. Epilepsy is the fourth most common neurological disorder and affects people of all ages. According to the National Institute of Neurological Disorders and Stroke (NINDS), epilepsy, also known as epilepsies includes a spectrum of brain disorders ranging from benign to severe. In epilepsy, the normal pattern of neuronal activity becomes disturbed, causing strange sensations, emotions, and behavior or sometimes convulsions, muscle spasms, and loss of consciousness. There are many possible causes of a seizure including but not limited to a brain tumor, stroke, head trauma, neurodegenerative disease. In addition, a significant portion of epilepsy is of unknown cause. The goal at McLaren Macomb is for each patient to be seizure free and to have no side effects. With the correct diagnoses and optimum treatment the majority of all patients with epilepsy can lead independent and productive lives. 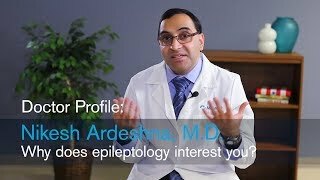 If you experience frequent seizures, you should see an epileptologist, which is a neurologist that specializes in epilepsy. 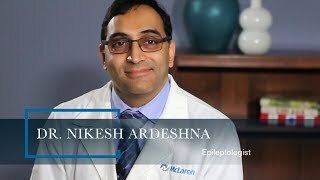 After your consultation your epileptologist may recommend the inpatient Epilepsy Monitoring Unit (EMU) at McLaren Macomb for a complete evaluation. The EMU is designed to evaluate, diagnose, and treat seizures in patients of all ages. A detailed understanding of the seizure patterns is important in planning treatment. Epilepsy monitoring requires a prescheduled admission to the epilepsy monitoring unit (EMU) for several days to evaluate patient seizure patterns while they are on reduced doses of antiepileptic medications. Brain wave patterns and physical activity are monitored 24 hours a day, through simultaneous EEG and audio/video monitoring, to study a patient’s seizures over an extended period. The information obtained from the monitoring is used by a multidisciplinary team to evaluate, diagnose, plan treatment, and coordinate care for patients of all ages with seizures. Referring physicians will receive a custom report from the epileptologist after discharge. Our team-based approach means that we are able to continuously monitor patients in order to refine diagnoses and respond in real time to a patient's needs as a seizure occurs. The diagnostic testing can lead to a new seizure treatment plan with the goal of reducing a patient’s seizure burden and improving quality of life. Epilepsy monitoring requires a prescheduled admission for a hospital stay and is done in a specially equipped private room. Each private room is equipped with a video camera, microphone, and special EEG equipment that records electrical activity of the brain. The purpose of the stay is to capture and record seizures. Therefore anti-seizure medication may be reduced or stopped. This overnight diagnostic study can span multiple nights. The exact duration of the stay will be determined by the epileptologist and may change based on the information obtained. 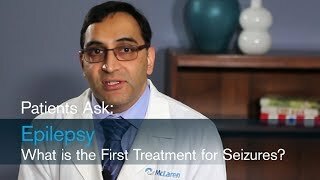 Anti-seizure drugs (ASD) often referred to as anti-epileptic drugs (AED) are the most common way of treating epilepsy and almost always the first treatment prescribed by physicians to reduce the occurrence of seizures. There are around 26 AEDs used to treat seizures, and different AEDs work for different seizures. The majority of people with epilepsy could have their seizures controlled with AEDs. Every epilepsy patient is different, even if they are on the same medication, dosage can differ. Some individuals are on more than one anti-seizure drug. While approximately 25% of people with epilepsy do not have success with medication. Your epileptologist will discuss non pharmaceutical options for the treatment of drug resistant therapy. Contact the prescribing physician for more information regarding medications and prescriptions. 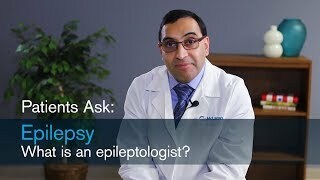 Epilepsy Q&A: What characteristics do seizures have? 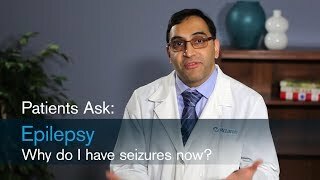 Epilepsy Q&A: How are seizures treated? 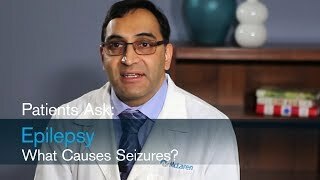 Epilepsy Q&A: What causes seizures?